The Maryland, Virginia, and Washington, D.C. areas have had their share of water quality scares over the past few decades. Although city officials assure homeowners that they’re being supplied with pure water, testing your water quality can make sure that your water is safe to drink for you and your family. In addition, you might be wondering about your water hardness. Testing can check how hard your water is, and indicate whether you should install a system that will provide soft water for your home. R.V. Carey’s Plumbing & Heating can provide water quality testing for all of these factors and more. If you’d like to get your water tested, call now at 301-424-8899. Our professional plumbers provide high-quality consultation and service. Because drinking water is sourced from bodies of water like lakes, streams, and reservoirs, it can contain pesticides, heavy metals, microbes, and bacteria. Water treatment plants generally address most of these contaminants to ensure safe drinking water. However, there are several types that can still sneak in and, at low levels, are considered acceptable. The EPA lists a number of potential drinking water contaminants, including arsenic, chromium-6, lead, and perchlorate. The only way to filter out contaminants like these is to install a specialized device like a reverse osmosis filter in your home. And the only way to know whether you need to filter out these elements is to get your water quality testing. If you get your tap water from a well, it’s extremely important to periodically test your water, as the EPA is not responsible for ensuring that it is safe. The CDC recommends testing for coliform bacteria and pH levels, as well as contaminants like nitrates and volatile organic compounds. The CDC also recommends testing your well water at least once a year. It’s important to have someone who is knowledgeable about local water supply, as they know what elements to test for and how to best interpret results. Can You Test Your Water at Home? Home water testing kits can be an inexpensive way to get a rough idea of your home’s water quality. However, they are notoriously inaccurate, and don’t test for everything you might want to look into. In short, you can trust them to indicate you might have a problem, but if the test is clean, you can’t be certain that everything is okay. Only a professional can provide an accurate and comprehensive test of your home’s water quality. The team at R.V. Carey’s Plumbing & Heating can provide fast, friendly, and affordable water quality testing for your home. We can evaluate the hardness of your water, measure pH levels, and check for contaminants. Our local service means we have experience with common water problems in the DC, MD, and VA areas. If you’d like to get your water tested, or learn more, call now at 301-424-8899. 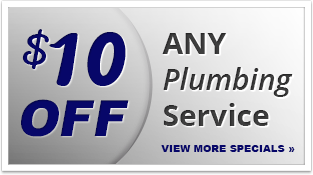 Our professional plumbers provide high-quality consultation and service. Why call R.V. Carey’s for water quality testing? For water quality testing in Maryland, Virginia or Washington, DC, call 301-424-8899 or click here!